Nex will open their studios to interested members of the public for the 2016 LFA. We will kick off the afternoon at 3pm with an introduction by Director Alan Dempsey on the studios range of recent and current work. With projects ranging across sectors including the new galleries for the RAF Museum, a new restaurant and the square on the Kings Road, a photography Centre in Brighton, and a Pier on the Thames, we will explain how our work aims to connect people to place, by focusing on circulation, event, and material texture to enhance public space in the city. Following the introduction, visitors can meet our team, and further explore the work of the studio through models, visuals and drawings. The talk will commence at 3.00 sharp and space is limited. 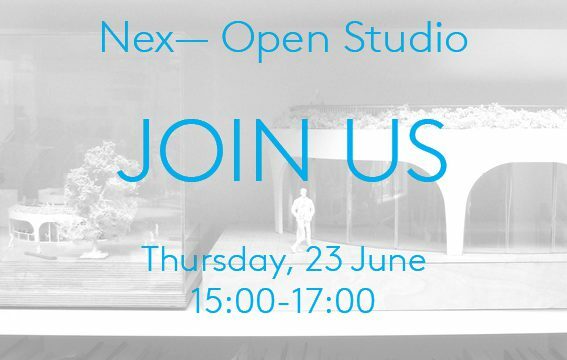 All visitors must RSVP to LFA@nex-architecture.com to attend or visit for the Open studio from 3.30 – 5.00pm.